How to Create Bundle Product in WordPress Site? Let’s learn how to create bundle product in WordPress Themes! How to boost more sales for your online store? There are many tips for shop owners such as sale program, free shipping, customer service. Besides, we can use bundle product as a great way to convert more sales. In this post, WPThemeGo will show you some simple steps to create bundle products in WordPress website. For instance, when buying a new laptop, how many of us need a computer clean toolkit? Surely more than 90% of us need it! Therefore, if we have a product as laptop, we can add clean toolkit, laptop cooling pad, headphone, mouse, mouse pad as a bundle product. By this way, we can sell more products for potential customers. How to Use Bundle Product in WordPress Website? After installing WordPress themes with WooCommerce ready, your site also need to meet some basic requirements before creating bundle products. After having a WooCommerce website, we need to install SW Bundle Product plugin and activate it in your website. SW Product Bundles is a plugin developed by WPThemeGo developer. 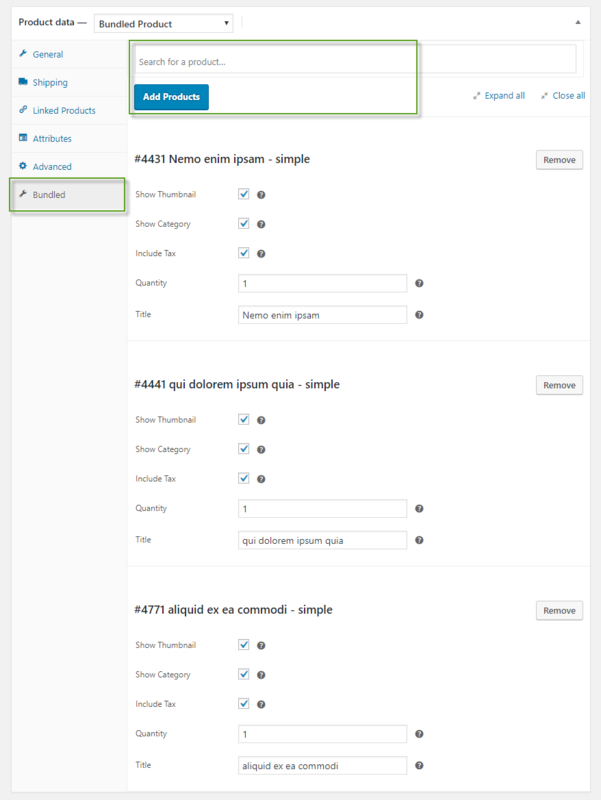 Currently, it’s integrated in some new WordPress Themes such as BosMarket and Siezz WooCommerce themes. 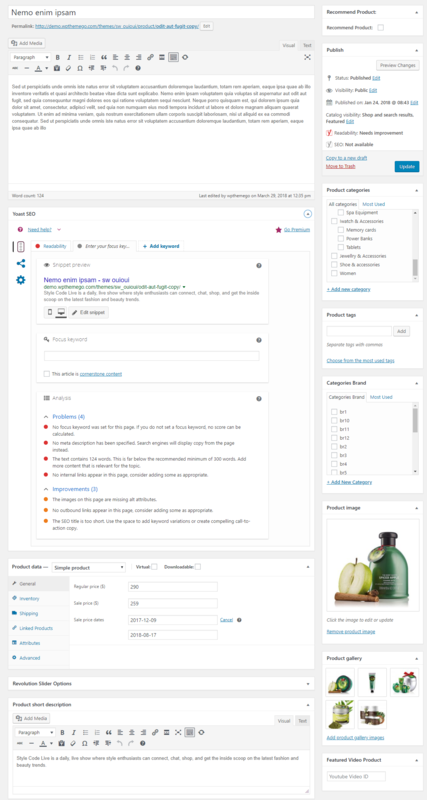 After installing theme, you need to activate WooCommerce and SW Product Bundles in Plugins > Installed Plugins. Now, we need to go to Products > Add New to create products as Simple product or Variable product for the new bundle. 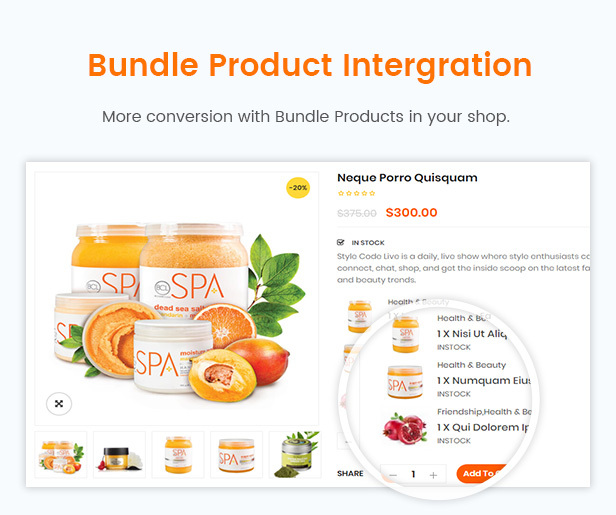 After having products for the bundle, we can create bundle product by going to Product > Add New and choose Bundled Product for Product data option. In the window, you can add product tittle, description, images, image gallery and others as normal products. For this product, please pay attention to tab Bundled in Product data. Here we can search for products and add them to the bundle. 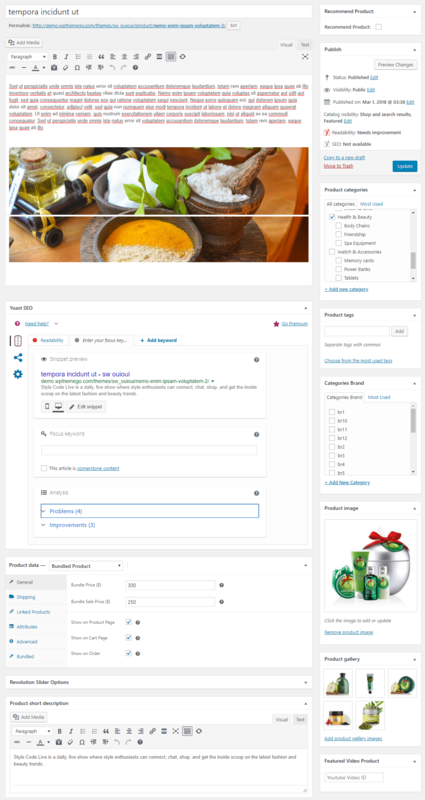 In addition, we can configure to show thumbnail, category, quantity, tax or title for bundled products. Finally, we can preview the product to make sure that it meets all your expectation. Above are some simple steps on how to create a bundle product in WordPress site. WPThemeGo really hope that with this article, you can convert more and more sales in our store.